Europe’s main problem is that it has transferred part of its sovereignty to the US, having abandoned the struggle for its own interests, Russian President Vladimir Putin said. "First of all, there are always some interests in relations between nations. In order to balance them there should be some agreed and transparently applied rules," the president said in an interview. Europe’s problem is its lack of any independent foreign policy, Putin told during an interview to Russian TV presenter Vladimir Solovyov, featured in a documentary aired on Rossiya-1 television channel. "In fact, Europe has abandoned it and handed over part of its sovereignty, maybe its most important part, to an alliance," he said. "But as for Europe, this is not just a supranational body. 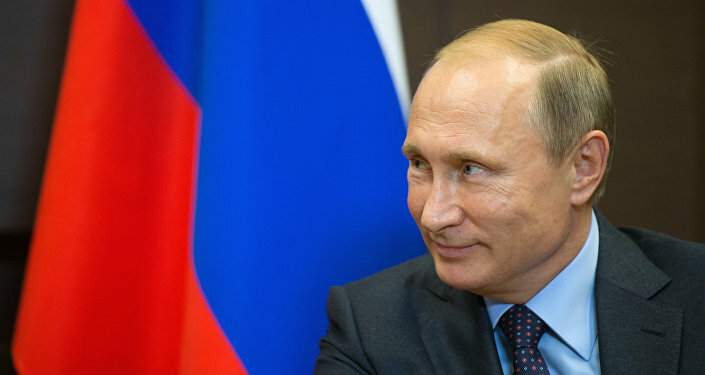 In fact, Europe gave up part of its powers not to NATO but to NATO’s leading country – the United States," Putin said. As an example, the president brought up the US intervention in Iraq which was opposed by Germany and France. Then the two countries were told they were not right. "It turned out that [France’s ex-president Jacques] Chirac, a very educated person, who had very close and trustful ties with the Sunni part of the Middle East, predicted the consequences. Now the result is failed states in those countries and the rise of terrorism. Paris was attacked. Chirac was right. Schroeder [German ex-chancellor] was right too," Putin said. NATO Military Buildup on Russia’s Doorstep: Bracing for War?